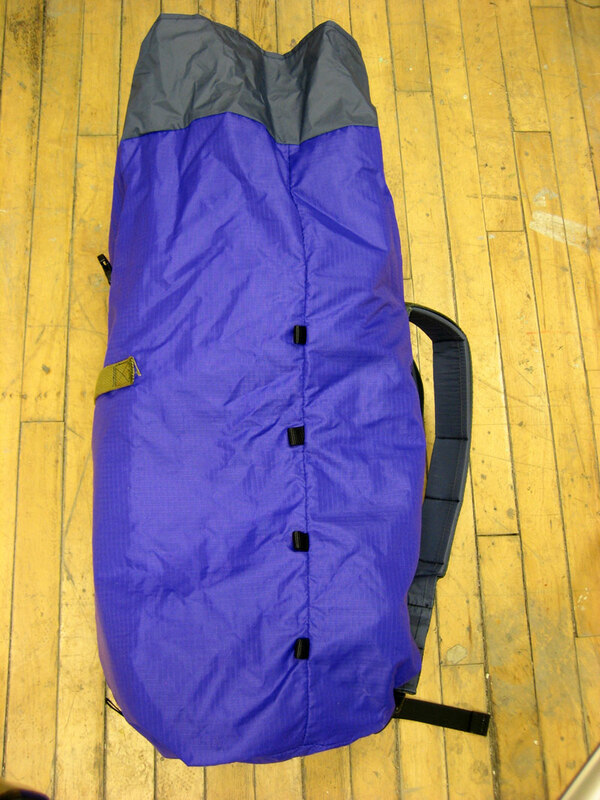 This backpack is actually a bright vibrating purple. It seems that the white balance on it is quite peculiar and must be intimidated by it’s liveliness. This backpack was built to be a summer weight pack for commuting and day hikes. The material used for its construction were generously donated by Karl at SLO Sail and Canvas. Without the literature on the materials specifics it is hard to say what they are exactly, but taking a bold guess, we would determine the exterior to be 4oz.-6oz. 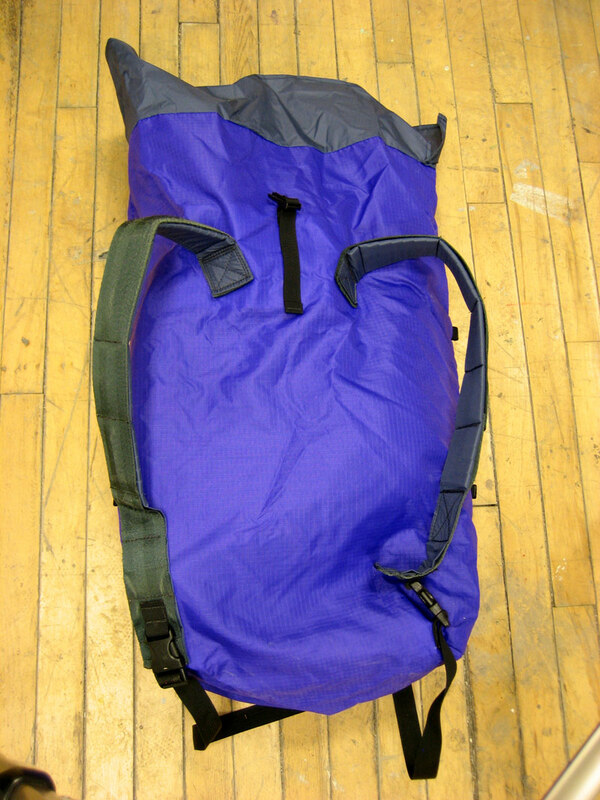 per square yard coated rip-stop (nylon), and the interior to be a slightly lighter weight 4oz. coated oxford nylon. These two together provide plenty of structure for the bags overall weight. One interior pocket made from NFCO scraps will do just enough organizing to keep you sane, and the one heavy cotton section of webbing on the front side is appropriately sized to slip a U-Lock into. 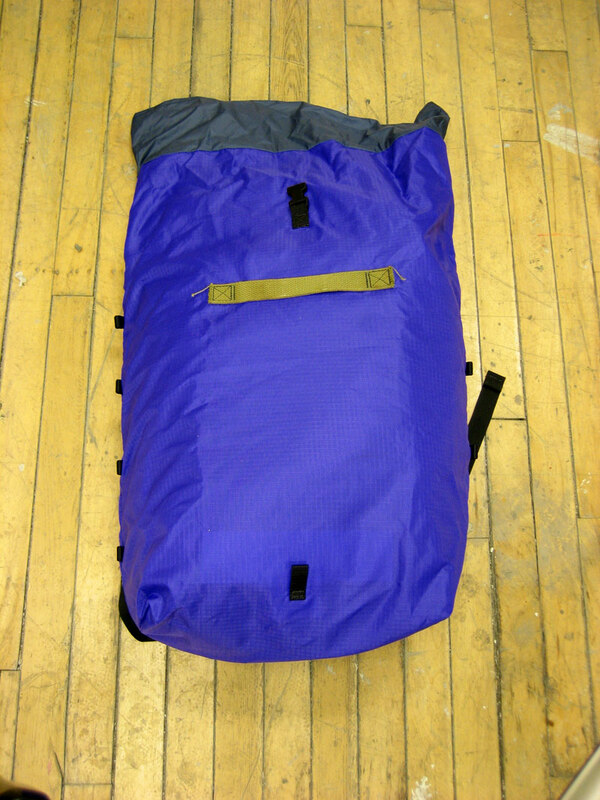 Along the side-seams are small sections of nylon webbing for potential cording to be strung through to add carrying capacity to the backpack. The shoulder straps are made from Cloud insole padding for shoes wrapped in the same lightweight nylon used for the interior of the bag, topped with upcycled seat belt webbing for added structure (no sternum strap). Anchored at the top, the shoulder straps descend to 1″ wide side-release buckles for easy on and off. There is one secret note on this backpack: on the inside is a 3/4″ side-release buckle that spans (with 3/4″ webbing) across the bag, side to side (towards the top of the bags storage area). With this buckle securely fastened, the top of the bag will roll-close with less bulk on either side. Decreasing this bulk is done by making the role itself of only one layer of the lightweight interior nylon. 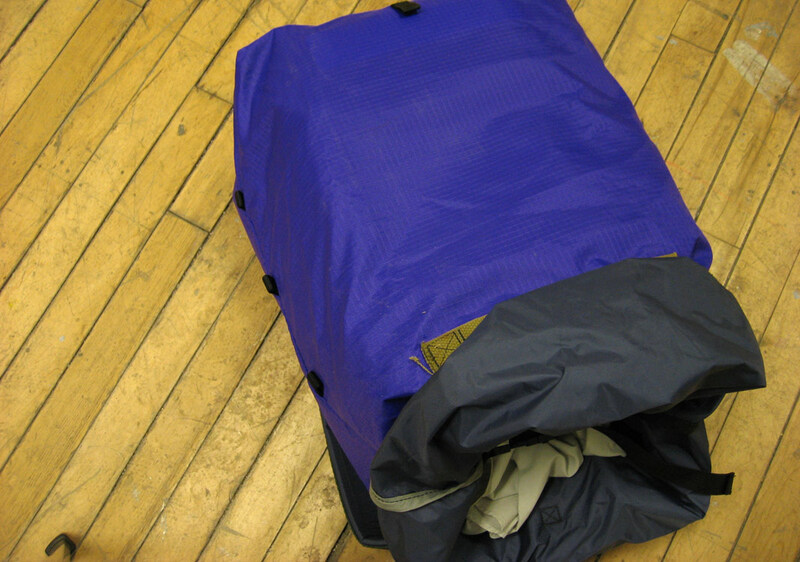 This compact rolling reduces the blind-spot so common on “messenger backpacks”. This detail increases the bags efficiency when moving around, seeing around, and navigating tight spaces.